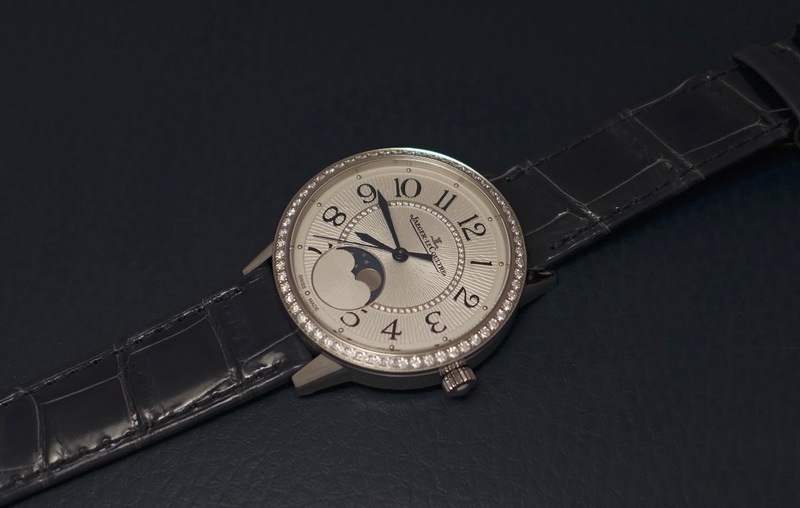 JLC - SIHH 2019: A selection of Jaeger-Lecoultre ladies watches. 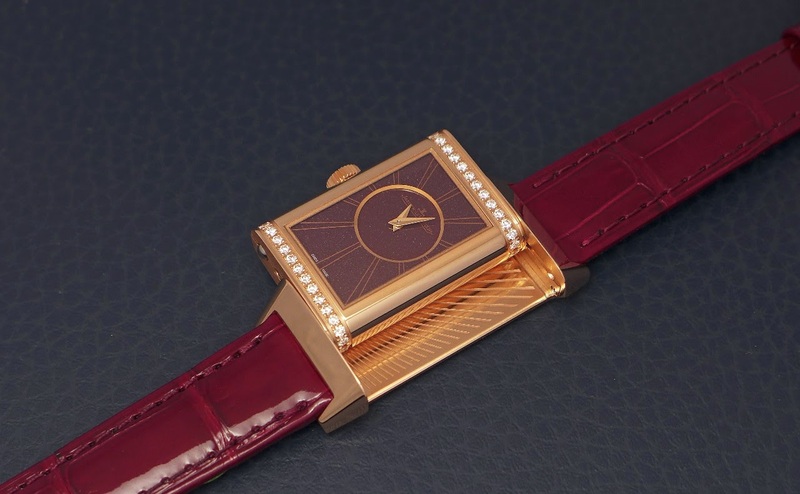 SIHH 2019: A selection of Jaeger-Lecoultre ladies watches. While I was shooting the Jaeger-Lecoultre novelties for Men, the Lady in charge of the product development for ladies watches came with a trail and some novelties. We are discussing men's watches most exclusively, forgetting that watches for ladies exist, too. 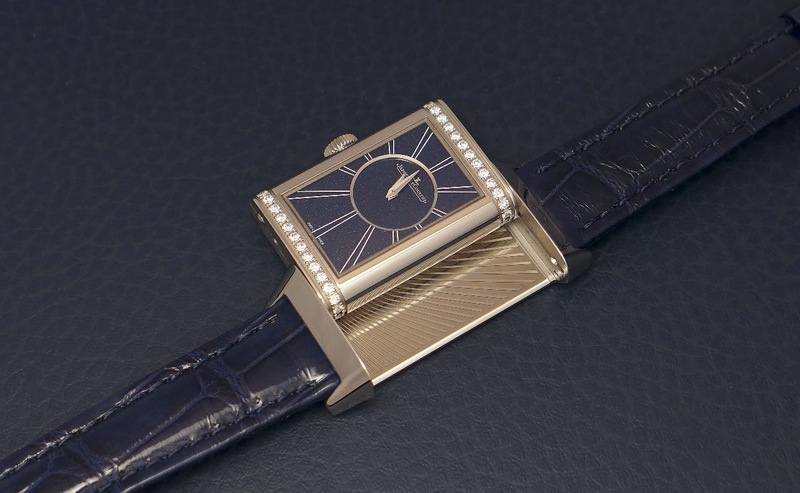 So, I decided to dedicate an article on some of them, belonging to two lines, the Rendez-Vous, and the Reverso. First of all, the Rendez-Vous. The Rendez-Vous Night and Day is available in a 36 mm case, while the Moon comes in two sizes, the 34 mm, and the 36 mm. 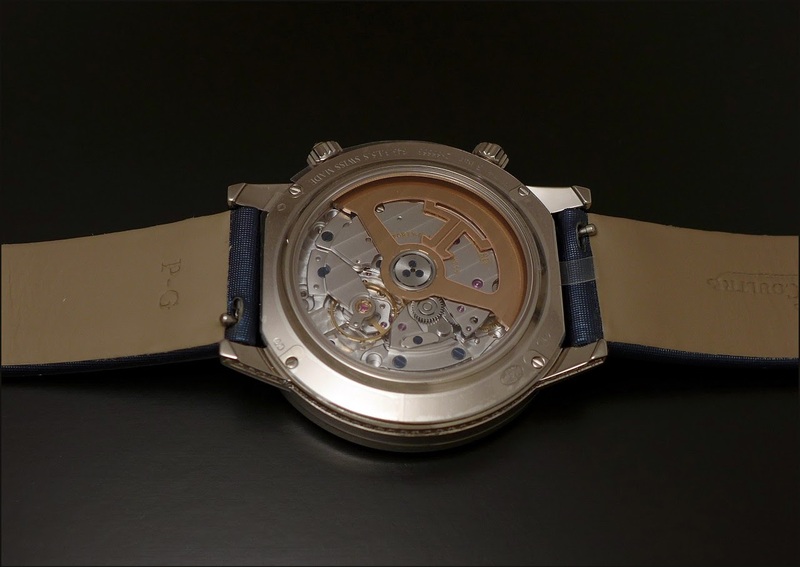 I shot the steel 34 mm version, with its silver guilloché dial. 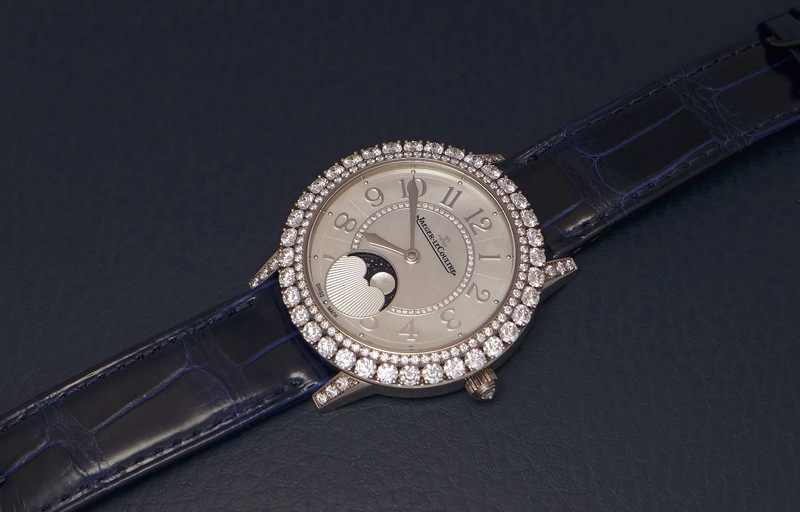 The " Jewellery " 36 mm version has a jeweled white gold case and a mother of pearl dial. 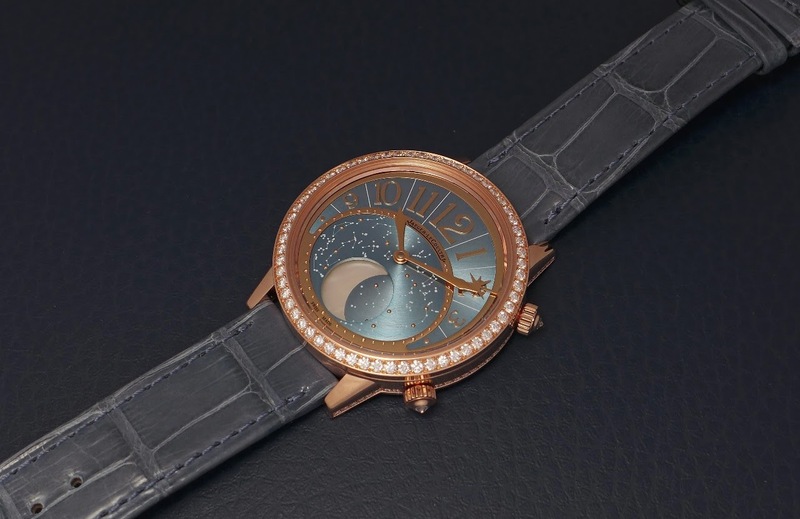 But there is also another version, the Rendez-Vous Moon in rose gold, with a superb blue sunburst dial and a mother of pearl moon phase, which is a tad thicker than the other " Moon " or " Night and Day ": 10, 5 mm high, versus 9, 56 and 9, 80 mm ( 34 and 26 mm case ). The movement is the Cal 925, automatic, with a power reserve of 38 hours, which you can see through the open case back. My favorite here is the Rendez-Vous Rose Gold. 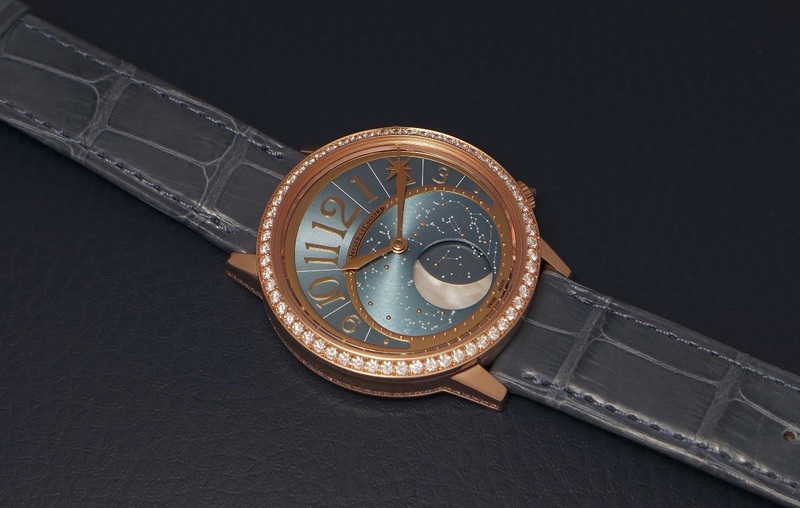 The combination of the starry blue dial and the mother of pearl moon phase, which I find very romantic. 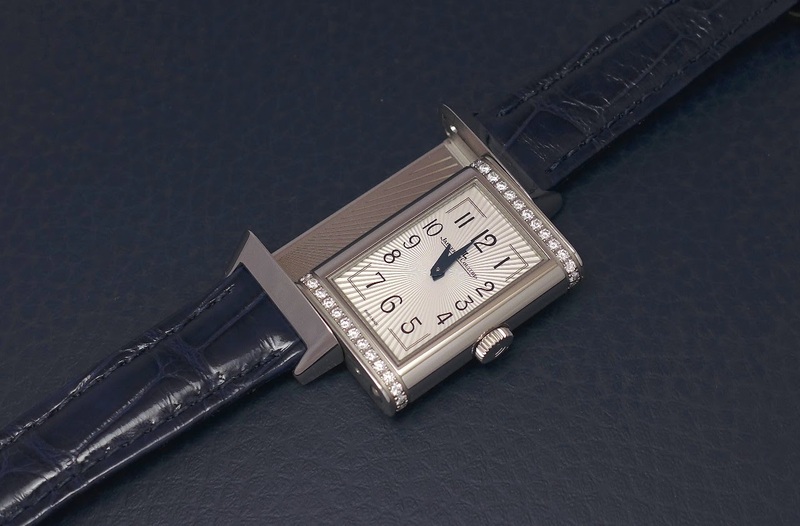 There cannot be a Jaeger LeCoultre collection without a Reverso, and here, the Manufacture shows two Reverso One Duetto, one in steel, one in rose gold with distinctive dials. The Reverso One Duetto in steel has a superb midnight blue lacquered and spangled verso dial while the recto is sunburst silver. In rose gold, the recto shares the same dial than the steel, while the verso shows a sublime burgundy one. The case is superb, with some great dimensions: 40, 1 x 20 mm, and a reasonable height: 9, 09 mm. 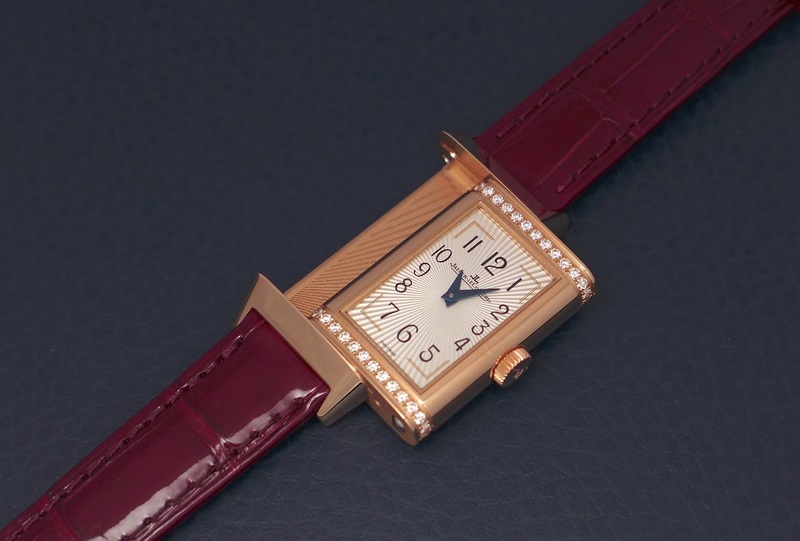 In the metal, it is much better than on pictures, but you can already feel that it is more rectangular than any other Reverso, even the Classic Small. The movement is the Cal 844, manual winding, without seconds, which is not a two time zone, as it tells the exact time on both sides. The power reserve is circa 40 hours. My favorite? The Steel version. Even among the 4 Ladies watches I introduced to you.